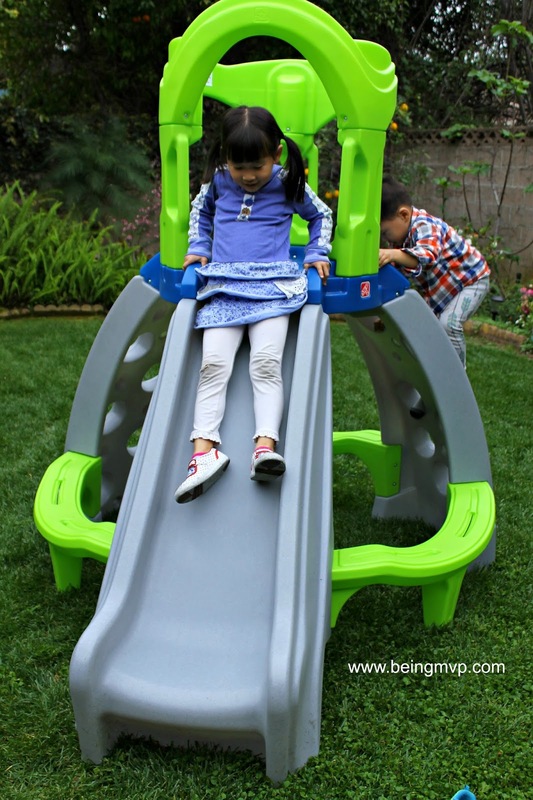 Disclosure: I received the Castle Top Mountain Climber for review from Step2. All opinions are my own. My little Mason is a daring toddler running and climbing all over the place. He really enjoys playing at the park but most of the climbers are still a wee bit dangerous for him to climb on. So I knew he would just be delighted to see the Castle Top Mountain Climber from Step2. To maintain the appropriate level of loose fill material, use containment, such as digging out around the perimeter and/or lining it with landscaping edging. Instal- lations of rubber tiles or poured-in-place surfaces (other than loose-fill materials) generally require a professional and are not “do- it- yourself”projects. Our rental condo is in escrow right now (finally!) and then we'll list our condo for sale and start the hunt for our dream home. Well, as much as a dream you can get here without being "house poor". So at that point, I will make the fabulous backyard playground for my kids with the awesome shredded rubber they have at Kenzie's school. So the kids were delighted when the Step2 Castle Top Mountain Climber was fully assembled and couldn't wait to start climbing and exploring. Since most of the climbers at the park playground are usually too high for Mason to play on, he gets frustrated that I won't let him follow Kenzie. 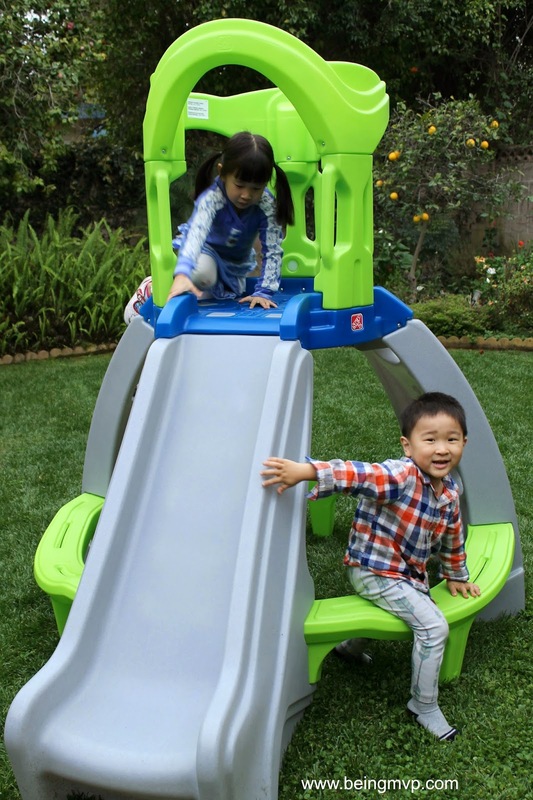 However, this Step2 climber is recommended for children 2 and up so he has a blast climbing, sliding down and hiding out. Kenzie loves to pretend that she is the queen of the world when standing on top of the platform. It's nice because there are two rock climbing walls so each can have their own side. Whoever reaches the top first gets to slide down first. Mason likes to hide things underneath the slide where there is a pocket. After getting exhausted, they can both rest on the benches below. 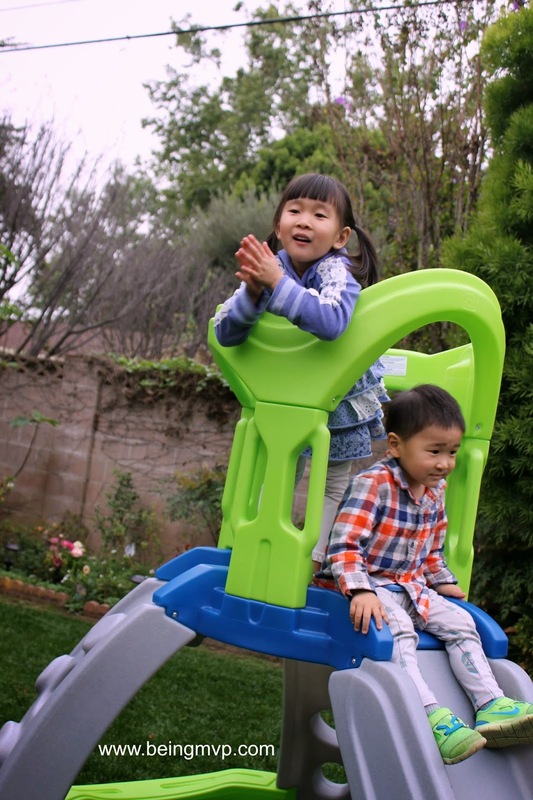 One winner will Receive a Step2 Castle Top Mountain Climber! We have been eyeing up this climber! The skyward summit looks awesome for older kids! We would love to get one of the Naturally Playful Swingsets. This climber is really cool. 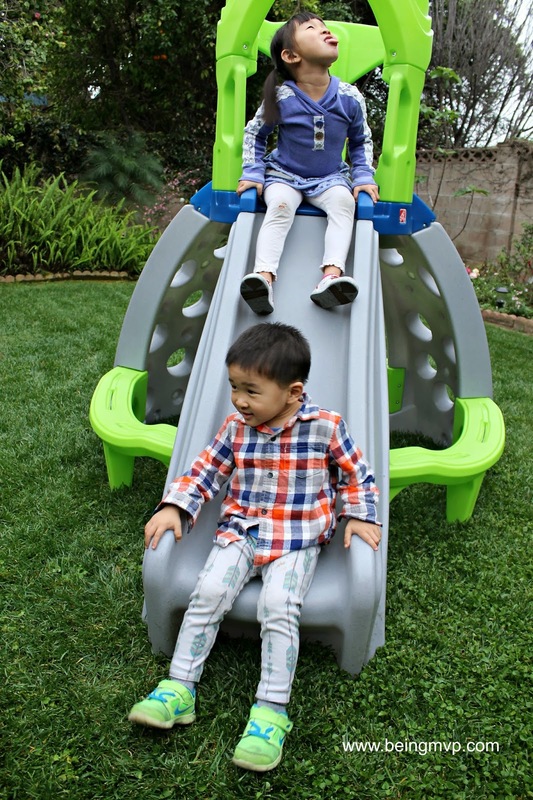 Another Step2 product I am considering is the Naturally Playful Adventure Lodge Play Center with Glider. So awesome! My little guy is 2 so probably next year. I'd like the Skyward Summit for my son. I would live the Play Up Gym.I have two grandkids that would love this. I would love the Naturally Playful® Welcome Home Playhouse for my grandsons, they would love it, thanks! We'd love the extreme coaster or up and down coaster from step 2. They are always our favorites!! 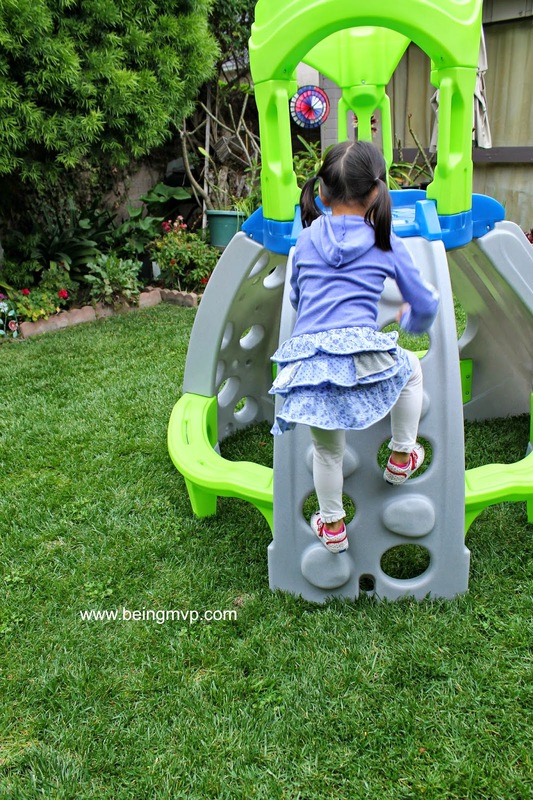 I visited the Step2 Website and I know that my kids would absolutely love Play Up Gym Set™! The clubhouse climber is awesome. Lots of children can play on this at a time. I'd love the Extreme Coaster for my kids! I like the Neat & Tidy Cottage - Active Brights. I would love the extreme coaster and the train wagon! I'd love the Corvette® Bedroom set! Who wouldn't?? I'd love to have the jeep bed. So cute. I would love the Deluxe Art Master Desk! The Extreme Coaster is also very awesome! I also really love Step2's Neighborhood Fun Center - they have so many amazing toys for kids! I also really like the Outside Storage Bench. I like the Grill & Play Patio Cafe! I like the 2-in-1 Ford® F-150 SVT Raptor because of the my grandson would love having a truck like his grandpa. My kids would love to play in this castle!!! Thanks for the giveaway. I think my daughter would really enjoy the Naturally Playful Welcome Home Playhouse. A new playhouse- doesn't really matter which. The wind destroyed ours so would appreciate any. Love this - I would also like the Naturally Playful® Adventure Lodge Play Center with Glider for my grandson. Would love the Clubhouse Climber! I would love to also have the Naturally Playful® Welcome Home Playhouse™. Thanks for the giveaway! My kids would LOVE this! I also love the Naturally Playful® Welcome Home Playhouse. We've been looking for a water and sand table and the Cascading Cove Sand & Water Table™ looks amazing! I especially love that it comes with a shed umbrella! I also like the Lift & Hide Bookcase Storage Chest. BTW I think I left the wrong username for my comment on YouTube - it should be dolphin4176! I'd like the Deluxe Canyon Road Train & Track Table for my youngest granddaughter. With Summer coming, we'd enjoy the Naturally Playful Sand and Water Activity Center. I would like the LifeStyle Dream Kitchen for my granddaughters. I would also love the Extreme Coaster for my grandson. I like the Naturally Playful® Summertime Play Center™. That is so nice, I love it. I would also really like the Grand master walk in Kitchen and grill. It looks AWESOME!!! I like how open it is and the rock wall. The Clubhouse-Climber looks like a lot of FUN that will keep kids busy for hours! We love Step2 products! I would love to get the Naturally Playful® StoryBook Cottage for my kids too! I also like the outdoor storage bench..That would come in handy! I love this! My son would go to town on this thing. Another step 2 item I'd love is the neat and tidy cottage! I also love the Naturally Playful Welcome Home Playhouse. The Naturally Playful® StoryBook Cottage is so cute , my babies would love it! 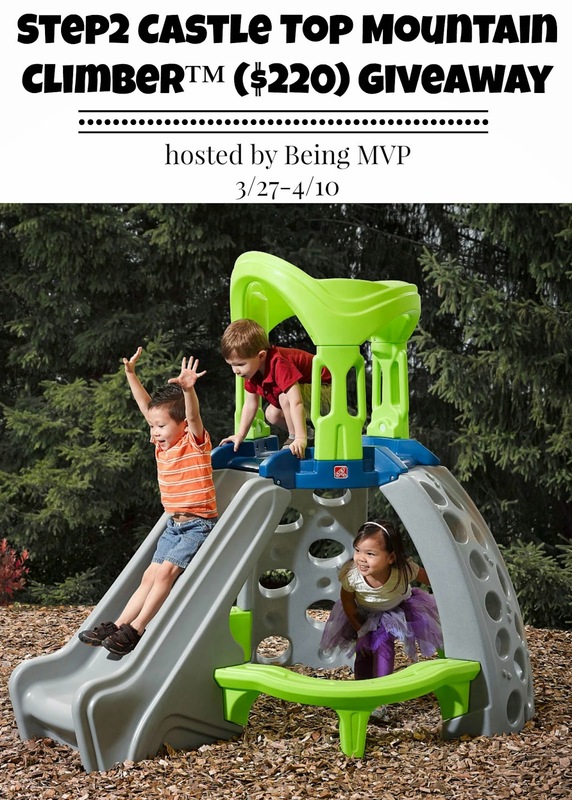 I would love to get the Naturally Playful® Welcome Home Playhouse for my daughter.